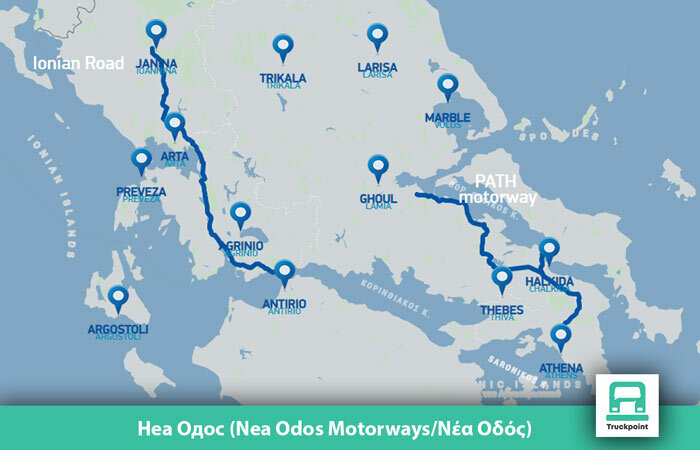 The Greek road network, which is subject to a toll charge and is managed by 8 private companies and one state-owned company, is more than 2200 km long. It is extremely dynamic in its development and currently has 122 tunnels, more than 130 charging points, over 630 payment lines and over 3900 people who support the overall business. The companies form an association with the name HELLASTRON, in order to continuously improve road transport and services offered to consumers. Its members are: AtticaTollway, the Rion-Antirrion Bridge, Egnatia Motorway, Nea Odos Motorway, Moreas Motorway, Aegean Motorway, Olympia Odos Motorway and Central Greece Motorway (Kentriki Odos). The introduced toll system determines the amount of toll according to the vehicle category and the distance traveled for each of the above mentioned companies. Тhe category is indicated by the vehicle’s height and number of axles. The payment of the toll tax is made immediately before entering the paid road section. Greek operators offer several ways to pay the toll tax which depending on whether you are registered in their system (using a card and / or device; OBU) or not (pay in cash). Of course, if you choose the second option and you pay in cash, you can not take advantage of the different discounts, which the companies offer or the option to refund the VAT on the toll taxes, which is 24%. Please note that this article is not just about informing you about the toll taxes in Greece, it has the idea to offer you a way to optimize your expenses. And depending on the frequency of trips and routes, you can select a program register as a customer in the operator system which offering you the most convenient discounts and then refund VAT. Everyone who trapped in traffic knows that road space can be a rare and valuable commodity, and this is one of the main advantages, along with all of the above advantages, which you will have as a user. All operators offer special bands that feature typical landmark signs for drivers to save them time when passing through the road lane. Choose the most rational program for you! The Egnatia Motorway and its vertical axes are the backbone of Northern Greece transport system. 657 km long, it is the first high standard road axis that runs “horizontally” through Greece from Igoumenitsa to Kipoi-Evros. 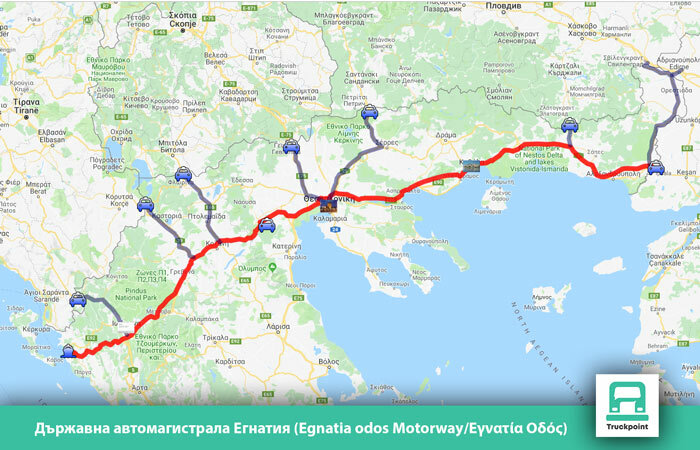 The Egnatia Motorway is the most important modern infrastructure project concerning the development and communication of the country with Europe, the Balkans and Asia Minor. However, to travel through it, you will need the Egnatia “E-card” card. You can sign up as a subscriber via email or you have to visit an Egnatia Motorway Service Point (Malgara or Thermi), submit all necessary documents and pay the minimum activation amount (50€), the total of which you can use for your toll transactions. How to use the Egnatia e-card? Every time you pass through a toll collector lane, you will need to display your e-card. The toll fee is paid using your e-card thus avoiding cash transactions. Toll Taxes Stations? 13 toll stations are currently operational along the Egnatia Motorway: at Tyria (Paramythia area in Thesprotia), Pamvotida (Ioannina), Malakasi (Metsovo), Polymylos in Kozani area, Malgara in Thessaloniki area, Analipsi (Langadas area), Moustheni in Kavala area, Iasmos in Komotini area, Promachonas in Serres area, Mesti in Alexandroupoli area, Ieropigi, Evzonoi and Aktio. How do you load your subscription account of Egnatia? By bank transfer and cash at the Egnatia Motorway Service Point (Malgara or Thermi). “Ionia Odos” motorway of an approximate length of 196 km. from Antirio to Ioanina (Egnatia Odos I/C). The trip from Antirio to Ioanina will take 1 hour and 40 minutes. A.Th.E. motorway of an approximate length of 172,5 km from Metamorfossi I/C (area of Attiki Odos) to Skarfia. P.A.Th.E. is the second longest motorway in Greece. The OBU device you issue is called FastPass and you need to deposit 50 € to activate it. As with Eway and Egnatia, the funds you have paid for the activation can be used to pay the toll taxes. The company provides an online customer portal where you have the opportunity to check the balance on your account, make transaction reports, add money to your account, and receive your monthly invoices. Nea Odos offers many options to top up your account: At all lanes with a toll collector, in every Nea Odos toll station, using cash 24/7; At Customer Service Centers, using cash or credit / debit card; Online via credit / debit card, through services provided by www.fastpass.gr, upon subscription; Online via Web Banking Services of your bank, entering the e-payment code mentioned in your monthly invoice. The Toll Taxes on the motorway over 3.5 t are in the range between € 2.35 and € 13.45, depending on the Lateral and Frontal Tolls. 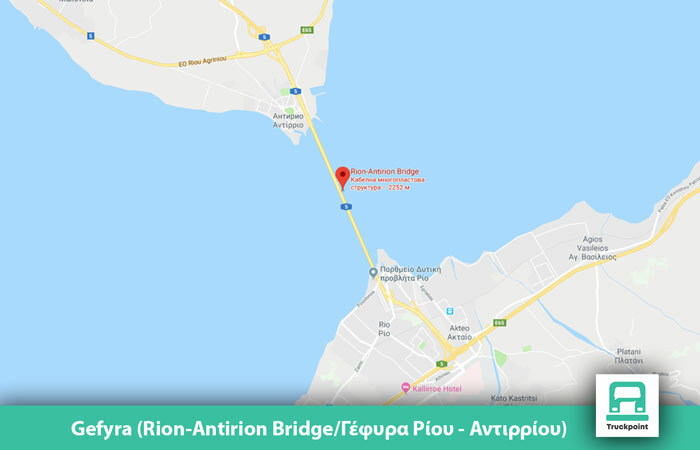 The funds you would spend on going through Ionia Odos to reach Patras are € 44.30, and if your route is from Athens to Lamia, then you will spend € 51.20 in direction (including Kentriki Odos Toll Taxes). Kentriki Odos is the Concession Company which has undertaken the study, design, construction, operation, exploitation and maintenance of the “Aftokinitodromos Kentrikis Ellados – E65” Concession Project. 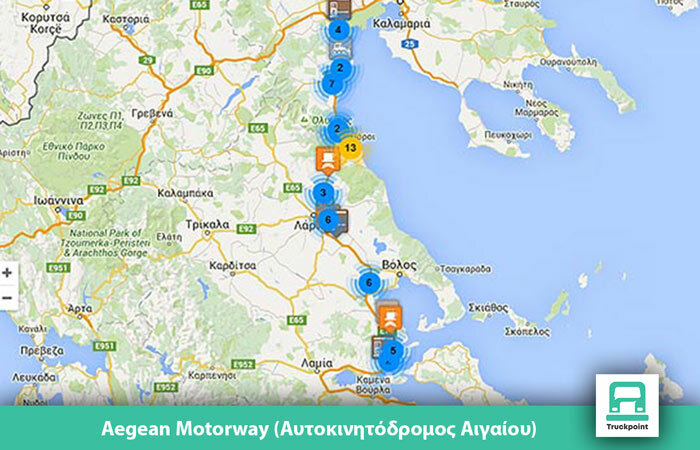 It connects the highway from Thessaloniki (Aegean) to the highway to Athens (P.A.E.) around the city of Lamia. At present, the stretch of the E65 from Xyniada to Trikala is fully operational. The company also has an OBU device named KentrikiPass, unfortunately as well as FastPass, the company doesn’t offer a discount, but on the other hand the customers with a Nea Odos on-board unit can also cross the Kentriki odos highway, which at this stage has the lowest road taxes from all companies in Greece. Reverse version is also an option, but the motorway is a still under construction, because of that we recommend you issue a FastPass device. Thanks to the GRITS interoperability network on the Greek motorways, the transits through Greece have become even more convenient for international transport companies. GRITS include: Attiki Odos, Aegean Motorway, Gefyra, Moreas and Olympia Odos. It is important to know that you could pass through the all 5 highways using an only one device in the same quick and optimal way. But please keep in mind that your discounts will be from the company that issued the device. But please keep in mind that you will only have a discount from the company that issued the device. It is important to know that Attiki Odos is the only company offering a post-payment but under certain conditions. The BUSINESS subscription programme is intended exclusively for companies (legal entities) and for fleets of 10 or more vehicles in total (regardless of category). The renewal of the account or charging can be done, by standard credit or debit card methods, but another interesting thing here is that the customers can renewal also in cash when visiting SHELL gas stations located on the highway. 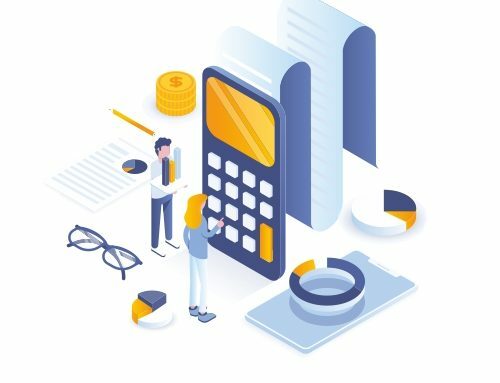 Thanks to the sustainable partnerships with various international banks, such as Piraeus, Albanbank, Eurobank (BG), there is a variety of ways to pay: web banking, telephone banking, payment via smartphone or tablet. The Toll Tax is a € 11.30 for every passage through the Attiki Odos road section, and it’s one-off. The bridge facilitate communication between Greece and Italy (and thus Western Europe) through the harbors of Patras and Igoumenitsa. In case you are not a Gefyra customer but use a device issued by one of the GRITS group motorways, you need to spend € 41.50 in direction. As with the other companies, so here as well, the Gefyra subscription programs allow to automatically and electronically pay the toll fare and the user does not need to stop at the toll station and pay in cash. The electronic toll payment service is called “Gefyra ePass”. 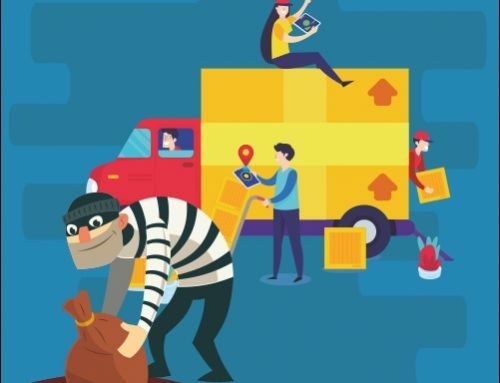 You can issue the device online and you have an option Gefyra to send it to you by courier to a location specified by the customer. By putting the number of crossings per month you can calculate the benefit you will enjoy if you subscribe to the “Gefyra ePass” electronic payment service. In this case, your toll taxes will range from € 36.70 to € 1 in the direction. How do you load your subscription account of Gefyra? In the Customer Service Centers located on the bridge; by bank transfer; by telephone or at toll stations. Olympia odos has a total length of 201.5 km that connect the Peloponnese with the rest of Greece and Europe. Company provides a high level of quality service, such as updates on travel times, traffic conditions and weather forecasts. Patrols, emergency teams and maintenance staff, in cooperation with the Traffic Police, the Fire Brigade and the private companies of road assistance, are on alert to provide drivers with road assistance in case of emergency, 24 hours a day, 365 days a year. The on boarding device issuing procedure is identical to Gefyra’s: online, with delivery of devices and contract to client address. The discounts offered by Olympia odos are exclusively for vehicles category 1 (motorcycles) and category 2 (cars with or without trailer and height up to 2.20 m).The company has not foreseen a reduction in the toll taxes for vehicles category 4 (cars with or without trailer and height above 2,20 m). 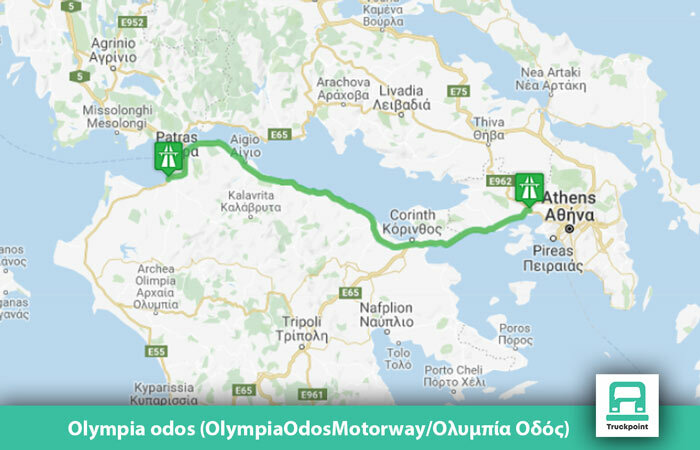 To cross the entire highway, which has 5 points, you need to spend € 41.30, which you can pay with a device owned by Attiki Odos, Aegean Motorway, Gefyra, Moreas or Olympia Odos. The motorway extending over 230 km. The highway is one of the busiest in the country. It’s part of the European route E75, connects Thessaloniki with Lamia and Kleidi (northern Greece) like starting point. 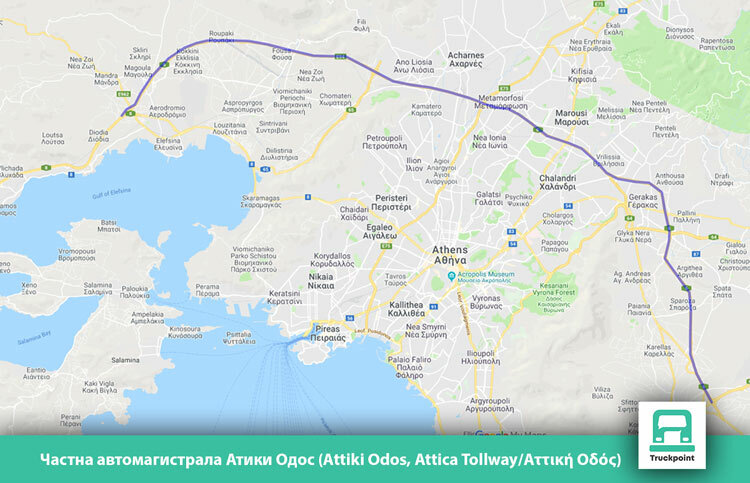 To issue an Aegean Motorway on-board unit, you need to go to one of Customer Service Points operate at Pelasgia Toll Station, Makrychori Toll Station and Kleidi Toll Station. The device is called Eway, and in order to use it, you have to pay an activation fee of € 20. 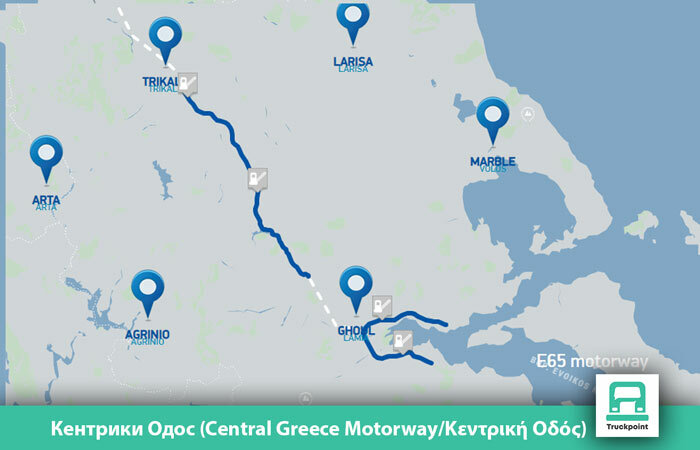 If you choose Aegean Motorway subscription program for vehicles cat.4, you will benefit from a discount of only two Toll Stations (PELASGIA and MOSCHOCHORI), or -11.66% less if you pay with another GRITS device. Toll taxes are between € 7,70 on Kleidi up to € 11,20 LEPTOKARYA (* 14,00 € MOSCHOCHORI if you do not use an Eway transponder) and for the whole distance to Lamia you will need €47,80 (54,00€ without discount). The 205-kilometer highway begins from Corinth-Tripoli-Kalamata and includes Lefktro to Sparta. The highway has nine Motorway Service Stations, in three of which you can issue devices in case you choose their services – Spathovouni, Nestani и Kalamata. 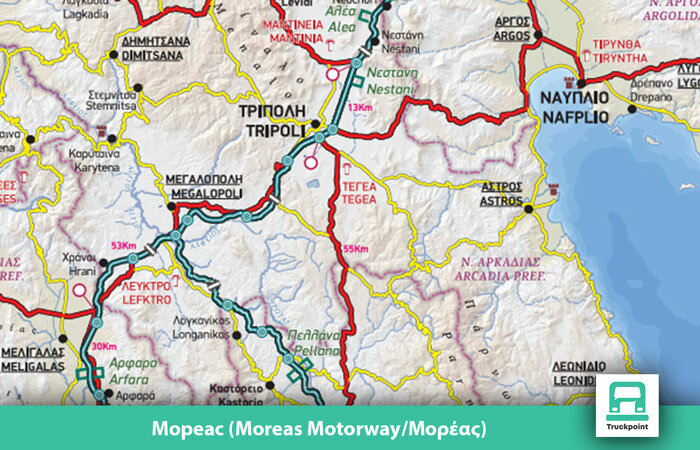 Your costs of Moreas Motorway lis between 1.65 € on THOURIA station and 10.15 € on PETRINA station.You can top up your account by cash at any of Shell’s gas stations; via telephone or web banking to Alpha Bank; Eurobank (Postbank); Piraeus and others. All devices operate on the same general principle. When driving your vehicle through the toll station, the system installed on the ribbon recognizes the transponder and vehicle categor. After that the system debits your account with the appropriate fee. At the same time, the electronic board will inform you about the status of your account. Finally, we want to advise all drivers of heavy goods vehicles to comply with the ordinance of Ministry of Transport in Greece, with which they prohibit the movement of trucks on secondary roads. Please note that the Greece traffic police strictly enforce the regulation and sanction the truck drivers outside the motorway with a fine of € 1,000. If the amount is not paid immediately, the trucks will be stopped from the road until the fine is paid in the nearest bank office. 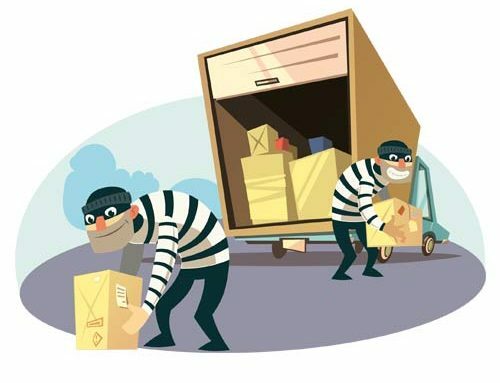 What is “claims handling” and how can road carriers deal more effectively with damage to the goods?